Who visits Goa in the monsoon? This might be your first reaction or maybe even a smirk with lowered eye-brows. But, to be honest, no place is inaccessible and if you really want to travel anywhere why let anything come in the way? Any die-hard traveller will acknowledge that Goa looks better in the monsoon and there are several benefits attached to it. Want to know them? In short, TravelHot.in provides you with some amazing discount on flight tickets and hotel stays to make your Goa Trip memorable. This can be topped with some amazing discounts on hotels. The first and the foremost enticing thing about the monsoon in Goa is it’s the off season time. Hotel rooms costs way less than during the peak season – so it’ll be easy on your pocket. You will be able to concentrate your expenses on other or more important things like food. Speaking of food, sea-food tastes best in the monsoon in Goa. In fact, if you love sea-food then there’s no better place in the country to taste the best than in Goa. Period. You can gorge on a variety of sea food like fried mussel, crab curry, Goan fish curry just to name a few. If sea-food is not your thing then one must definitely try Chicken Xacuti. The scenic beauty of Goa comes alive with the monsoon and forms an amazing leisure vacation. The greenery is lit up - literally with grown rice paddy, lush green fields and mountains. 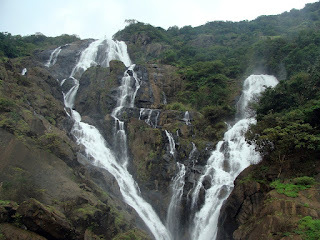 Strongly recommended to visit Dudhsagar falls as this is the time of the year when the rivers are flowing to the brim. The roads are clear of dirt and dust as they get washed in the rains and one can enjoy clean roads and beautiful surroundings all around. The rain brings a distinct feeling, if you’re a rain-lover you’ll know what I’m talking about. Goa is a rain-lover’s paradise and if you love rains then you’ll also agree that it’s one of the most romantic seasons. Beeches will typically be less crowded as it usually is during the peak season post September. The lesser crowd will encourage you to explore the beech taking your own sweet time without the risk of accidently bumping into somebody! Weather permitting you can also chill around a bonfire with a nice cold beer. Rent a bike to for a long drive, if you negotiate hard, you’ll get a good bargain on bike rents during the off-season. Take a ride in the rains and feel the drops of water splash down on your face. June and July is festival time in Goa. Goans participate in two major festivals held during these two months. The feast of Sao Joao (St. John the Baptist) is celebrated in the month of June and the festival of St. Peter is celebrated in the following month. Both of these festivals are distinct and are celebrated with much gusto. If you’re a party animal at heart and are waiting to unleash the beast within then the monsoon visit will not be disappointing. Goa has the most happening party scenes at Mambo’s, Tito’s and popular night clubs like Love Passion Karma located in Candolim. A quick getaway to Goa for the nocturnal party animal is the best place to visit in the monsoon. And before I forget let me add another reason to visit this place is the Spice Plantations. 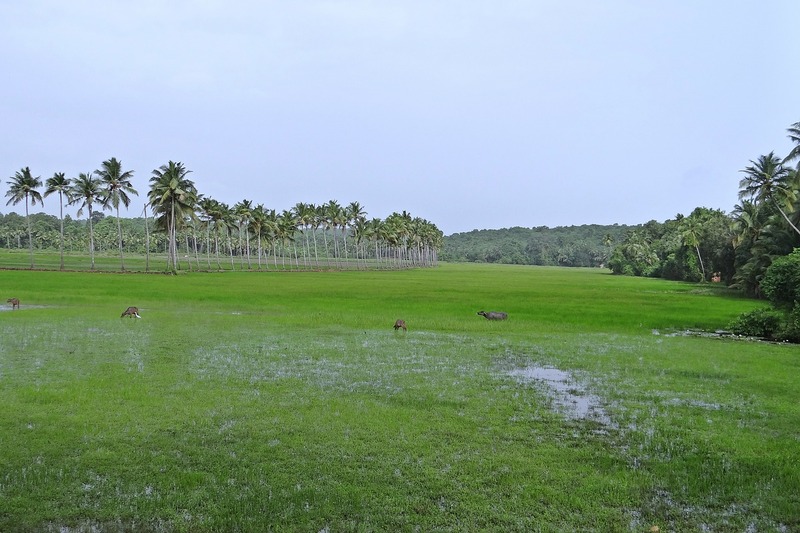 When someone thinks of spice gardens or plantations – Kerala might be the first thing that may pop in your head. But associating spice plantations with global tourist destination like Goa sounds a little off. Hard as it may sound but it’s true. Goa boasts of some popular spice plantations. Go for a guided tour for a richer experience to these plantations. Some of the places also offer accommodations if it’s to your liking. Goa offers the richest experience if you love travelling in the monsoon. The low prices in the off season add further excitement and savings as well. If rains are your thing then Goa is the place to go. A word of caution, do check all the prices when planning your trip. Are you a Smart Traveller?